Gregg Popovich said he would be surprised if Kawhi Leonard returned to the Spurs this season. That set off alarms for the Internet, but the Open Floor podcast believed this could be the case. Kawhi Leonard's absence from the San Antonio Spurs has been shrouded in mystery. 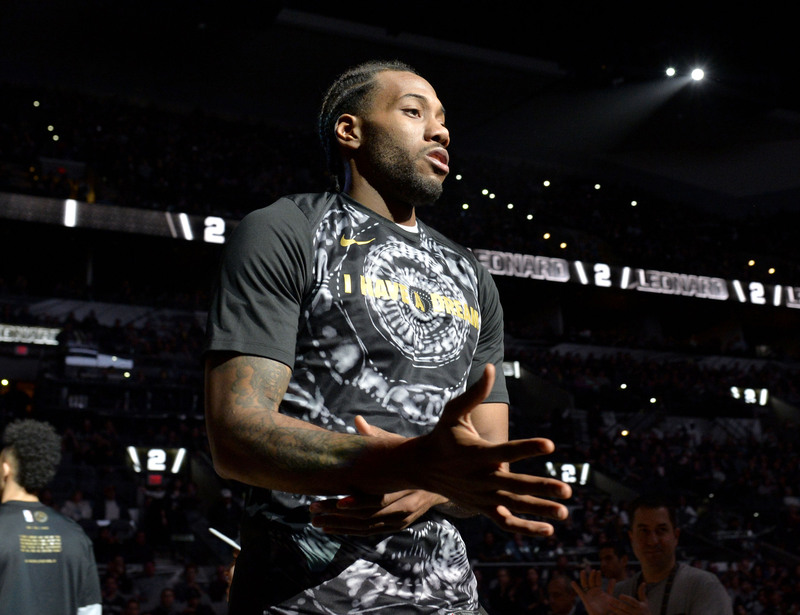 Few public statements were made to clear up the mystery before Wednesday, when Gregg Popovich said he would be surprised if Leonard returned to the court this season. That clearly set off alarms, as the Spurs are viewed as a model of consistently and it'll be hard to maintain that without their best player. Prior to Popovich's statement, Andrew Sharp and Ben Golliver discussed Leonard's missed time and whether it makes sense for the Spurs to shut him down. 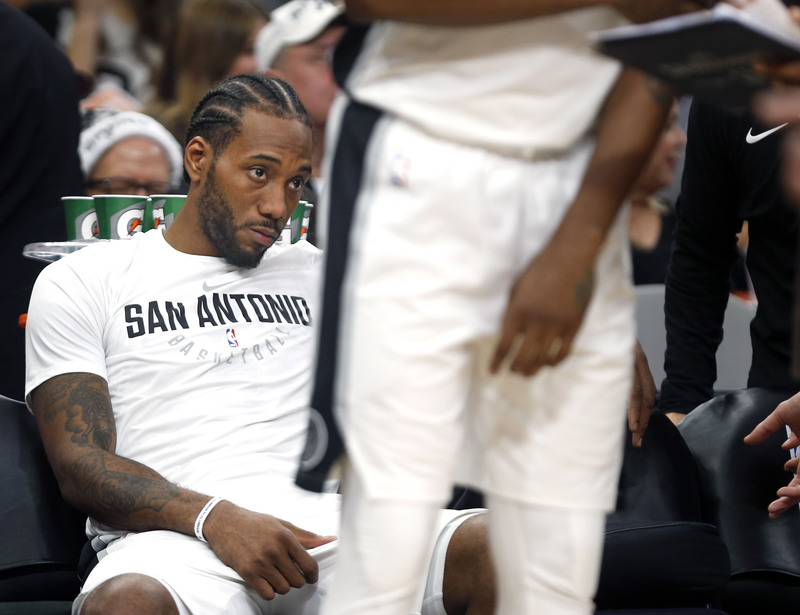 Andrew Sharp: Prior to the All-Star break, the Spurs were really beginning to struggle without Kawhi Leonard—and granted, they were without LaMarcus Aldridge recently, too. But I think that if we're looking at stories to watch, the Kawhi thing is going to become bigger as we go forward. So what have you heard, what are you thinking? You are a sort of honorary member of the monastery. Where's your head at with all this? Ben Golliver: Panicked, I'm freaking out, Andrew. Well, here's the thing. Looking at the All-Star Game split this year, basically teams have like 25 games left, right? Normally it seems like that number's bigger. I don't know if it's because the season started earlier or exactly how it broke down, but this is a very tight stretch run. And I mentioned this previously, but for San Antonio, they have to get into a groove. To make it work, to make it feel like they can beat Golden State or Houston, they want to get a groove. And I guess the reason why I'm panicking is 25 games might not be enough to get Kawhi into a groove where he needs to be to go against the league's absolute best. I'm not sure it is. I think that's a 50–50 proposition, and then you have to wonder if he's even ready to come back after the All-Star break. Does anybody know? We haven't gotten any sort of a timetable on where he's at. I think the whisper campaigns are starting to begin about San Antonio always taking care of their guys. Is this another situation where they're taking care of him? How certain are we that he's going to come back at some point this season? That's kind of an open question, and of course they're not providing any answers. The local media down there does their very best to pry stuff out of them, but we haven't seen any answers from them either. I guess the reason why I'm panicking is because if he's not back within a week of the All-Star break, what's the point? Sharp: Yeah, it's a good point. I hadn't thought about it that way, because I'm more worried that he's just not going to come back at all. But I think it's fair to say that even if he did come back in the third or fourth week of March, what are you really getting at that point? I had the same thought about John Wall, too. Is asking a guy to come back and suddenly play himself into shape to be close to a 100% for the playoffs isn't very realistic. Golliver: Well, Andrew, when I look at those two situations they're not comparable. Because in San Antonio they play for banners. That could be title banners, that could be pro rodeo of the year banners. That's what they hang in the AT&T Center. You guys play for first-round series victory banners in Washington. If you can get one of those it's a big deal, so if that means Wall has to be on a wheelchair to get him out there in the first round so you can get him out there for that four vs. five matchup. In all seriousness, don't you think there's a little difference in terms of which franchise might push this more than the other? Sharp: There's no question that the Wizards will want to push Wall to come back regardless, but I think what I'm saying—in part because the Spurs are so smart and so cautious about the way they manage this—Kawhi coming back, he'd be on that schedule where he plays 15 minutes for the first three weeks, and you can't do that late in March. Really, the window is beginning to close here. Golliver: So he might get above 20 minutes in the second round of the playoffs? They ramp them up so slow. Sharp: If Pop's doing the every-other-day thing in the first round of the playoffs, that's harder to sell. Sharp: I think that's where we are, and that in itself is a pretty crazy story. It looks like that's how this is going to end, and at the same time, you look at West right now—I'm looking at the standings. The Spurs are 35-24, a half game ahead of the Timberwolves, they're two games ahead of the Thunder, they're only three games ahead of the Nuggets, who are in the seven seed. This could break bad, and I know that's blasphemous to even think about and say out loud, especially in a room with you. But I think we need to start worrying more about the Spurs. Golliver: The good thing is they'll come out of the All-Star break and rip off eight straight wins no matter who they're playing. I shouldn't say that, though, because I believe their schedule does get a little tougher after the break and that feeds into the concern a little bit. I'm never going to truly panic about playoff positioning or whatever else, but I think if you're Popovich, at some point you're going to have a realistic conversation with your front office about the best-case scenario this season. I think a lot of years, including last year, they probably felt like a title was possible. You never know what would happen in that Western Conference Finals. Sharp: I actually do know what was going to happen in that Western Conference finals, but I'm glad that they've been able to keep that alive. Golliver: Well, look, somebody had to slow down your role player, and unfortunately that guy was injured, Kawhi Leonard. But can they tell themselves they're winning the Finals this year even with Kawhi healthy? I'm not sure they can. And it pains me to say that, to count them out, but I don't see any way that they win it this year. With the quality of the top two in the West, even if Kawhi's back I don't see it. Sharp: It's something to watch, and that's going to be the No. 1 thing I'm looking to find out more about. It's just crazy that the mystery has gone on as long as it has and no one really has answers. This is like Markelle Fultz's jump shot except it's happening with the third-best player in the league. It's really tough, and the Spurs are vulnerable right now.